King Henry V has these thoughts on the eve of the Battle of Agincourt in October, 1415. He leads an English army, depleted by sickness and weary from hard campaigning in France. He wants to march on to Calais and safety but the much larger, better equipped French army has been shadowing him and is shaping for a battle. 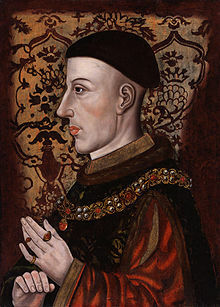 Henry has told the French herald that he is in no condition for a battle and would prefer to avoid one. But he adds, that if battle is offered by the French, then he will accept the challenge. The challenge for director, Thea Sharrock and her Henry, Tom Hiddleston, is how to play Henry. This production is the final play in the series The Hollow Crown and many of the actors, including Hiddleston, have been carried over from the two Henry IV plays. So we’ve seen Prince Hal making his bones, shedding his profligate ways and assuming the mantle of kingship. We know he’s canny, shrewd. A prince who feigned at a dissolute character in order to seem all the more appealing when he shows his true colours as king. For many, the two most well-remembered portrayals of Henry on film are Laurence Olivier’s war hero (1944) and Kenneth Branagh’s ruling class hooray henry on a day trip to France to see what booty may be had. (1989) Hiddleston chooses a different path. We sense a diffidence about him. His key speeches at both Harfleur and Agincourt are personal, intimate – made to small groups and individuals. Not on a white charger, splendid in golden armour. It’s almost as if this monarch is already wearying of the rhetoric he’s fated to deploy. The gestures, the costumes, the action all seem just a little jaded; ‘I’ve got to do this, you know. Reclaim my birth right. Finish the unfinished business here in France. But it is a bloody business, so it is,’ seems to me to be the sub-text. I suppose this approach might explain the absence of so many scenes that usually appear in this play; Canterbury’s detailed explanation to Henry of how the French have employed the principles of Salic Law to deny the English claim to the French throne; The plot against Henry at Southampton before embarking for France; The French nobility bragging about their prowess and likely victories on the eve of the battle and, most perplexing of all, the slaughter, by the French, of the English boys guarding the baggage train at Agincourt – particularly as Henry still delivers his ‘I was not angry since I came to France until this instant.’ response. This omission also places a quite different interpretation on Henry’s order to kill the French prisoners, the baggage train incident usually being seen as a justification for a reprisal. But this and the other changes all serve to create the idea of a pragmatic, canny king who is all too aware of his historical obligations and perhaps just the slightest bit contemptuous of them. I should add that adopting this, I suppose, more cerebral approach, utterly compromises the two scenes which feature Princess Katherine (Mélanie Thierry), the daughter of the French king, Charles VI, to whom Henry becomes engaged. Usually serving as light relief from the bloody business of war and a handy way to reach détente, in this production, these scenes become almost incongruous, charming not sitting easily alongside quotidian but necessary violence. So, yes, a masculine Henry. But a Henry caught in a time of unease both at home and abroad. A Henry keenly aware of his obligations to history and his country but wary of the weight of those obligations. I liked this Henry. The portrayal is flawed. But I liked it none the less. 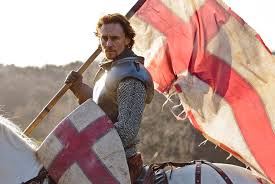 Author’s Note; The BBC have set down a tentative date of 2016 for screening of the second part of The Hollow Crown, comprising Henry VI, parts I, II and III as well as Richard III, thus completing the full cycle of the ‘history plays’ encompassing The Wars of the Roses. It’s worth noting that the Princess Katherine mentioned above was Katherine de Valois. After Henry’s death, she married Owen Tudor and it was their grandson, Henry Tudor, who defeated Richard III at Bosworth Field and was crowned Henry VII. Thank you Lis. I hoped that you’d enjoy it. It really was a wonderful series. I guess we should be thankful to the BBC for funding and screening such an ambitious project.